I thought it was hot in Austin. It was–but now that I’m back in Florida I’m sweating daily. Not the same kind of “hot” like Austin, but the humid-hot. 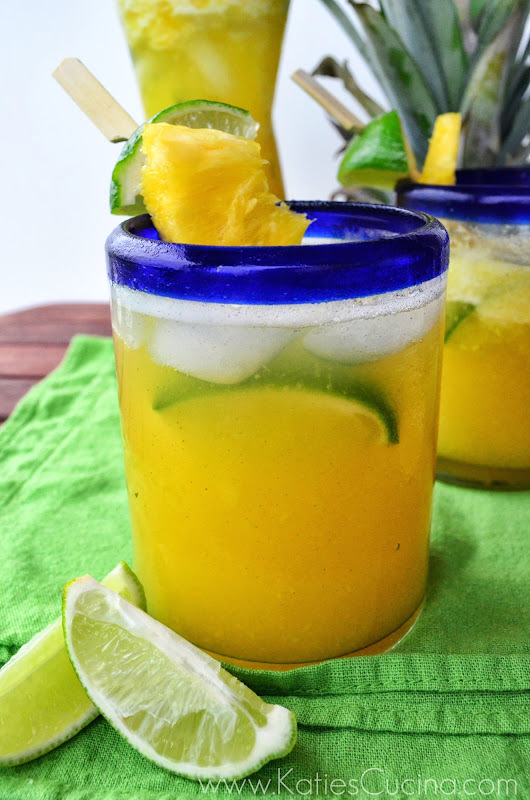 So what better way to cool off than this Pineapple-Tequila Cooler. Don’t fret, if drinking alcohol isn’t your thing you can easily omit the tequila and make this a non-alcoholic pineapple-lime cooler. Both ways it is equally good! I recently received a box of new fruit tools from OXO. One of the first tools we tried out was the Ratcheting Pineapple Slicer. I hate cutting pineapple and always task my husband with the job of doing it. Now that I have the pineapple slicer, I can cut pineapple with ease! I made a fun animated gif to show just how easy it is to use/cut pineapple! And we learned after the first sliced pineapple that you want to put a bowl underneath because the slicer extracts a lot of juice! So far we’ve found that we get about 1 cup of juice from every pineapple. So I just strain the juice before sealing it in a jar and then I either add it to this drink or save it to be used within a day or two. Whether or not you have this tool you need to make this drink. Perfect for hot summer days! Using a blender, puree pineapple (in chunks) until its fine like juice (you may need to do 2-3 batches depending on the size of your blender). Mix in lime juice, 1 cup water, and agave. Pour into pitcher. Stir in tequila, if using. 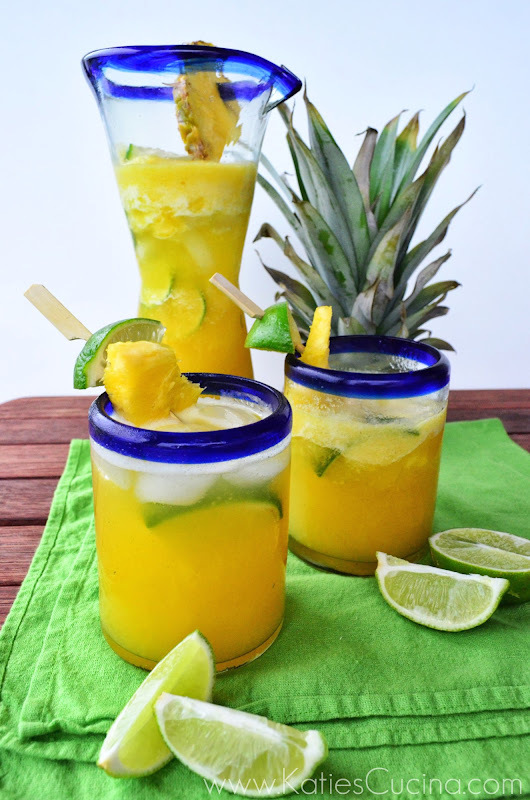 Pour over ice and garnish with pineapple chunks and lime wedges. Disclaimer: I received a box of fruit tools from OXO. I was not compensated to create this recipe nor required to blog about the tools. I genuinely love OXO and just want to share what I’m using in my kitchen. There are affiliate links in this post. I don’t care if it’s humid I’m coming over to sweat and drink one of these with you!! I haven’t used mine yet! LOl Cathy you crack me up… come on over! What a refreshing drink! I totally want to try the pineapple slicer! Christine–run out and buy one now. It’s amazing and totally works!!! Totally trying this. I’ve been wondering what to do with the tequila in my cupboard! ha ha… oh man–look out I have quite a few tequila recipes coming your way! I have one of those pineapple things! Well not an OXO one but a cheap one lol. 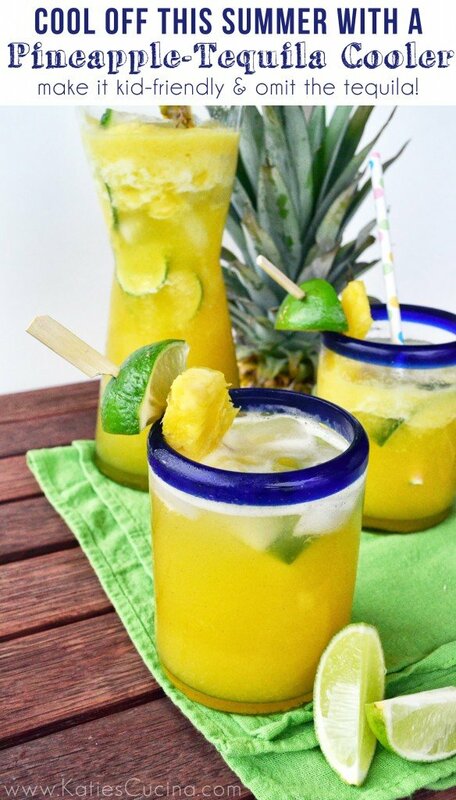 I’ll have to make some of these….I’m thinking pineapple-lime cooler! Yes this is just as good with or without the tequila. It’s like vacation in a glass! Mmmm…fresh pineapple juice. I love how the tool creates perfectly round slices. Ummm yah I’m not sure why I waited this long to get one! It’s amazing!!! Thanks for posting this drink recipe. This is perfect for the scorching summer days. Will try this soon. Jenn, that is crazy! I would gladly love to give you our 100+ degree days! Hope it warms up soon so you can enjoy “vacation in a glass”! WOW! How refreshing is this, I love it 🙂 so sweet!